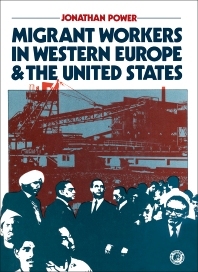 Migrant Workers in Western Europe and the United States discusses the state of job migration of Europeans and Americans. The geographical table showing the country of origin of the worker and the number of such workers are presented in the text. This table also provides a statistical record of the volume of people that migrated under the covered years. Such a table shows if there is a steady or fluctuating increase or decrease of migrant workers. The second chapter of the book discussed the historical background of the movement. Another section of the volume provides a discussion on the economics of immigration. Illegal migration is the focus of the fourth section of the text. The means of becoming an illegal migrant is covered in this section. The politics of migration of different countries are discussed in detail. There is also a section on the social conditions of the receiving countries. The book will provide useful information to sociologist, economist, students and researchers in the field of statistics. I The Migrants: Who are They?